BEIRUT — The U.S.-led coalition denied reports that airstrikes it carried out in a part of eastern Syria held by the Islamic State group killed dozens of civilians, while opposition activists reported clashes Sunday between government forces and ISIS in nearby districts. The coalition said late Saturday that it struck only “legitimate” militant targets, and that another 10 airstrikes in the area were not carried out by U.S.-led forces. Coalition strikes were carried out to support ground operations against ISIS targets, which were assessed to be free of civilian presence, according to a press release from Operation Inherent Resolve, the U.S.-led coalition fighting the Islamic State group. “We can’t specify who is firing into the area for operational reasons, but we can say definitively these shots did not come from coalition or partner security forces, and are therefore irresponsible and dangerous,” said Army Col. Sean Ryan, a coalition spokesman. ISIS controls an area in eastern Syria near the Iraqi border where some 15,000 people, including fighters and their families, live. U.S.-backed fighters of the Kurdish-led Syrian Democratic Forces have been trying to capture the area since September. 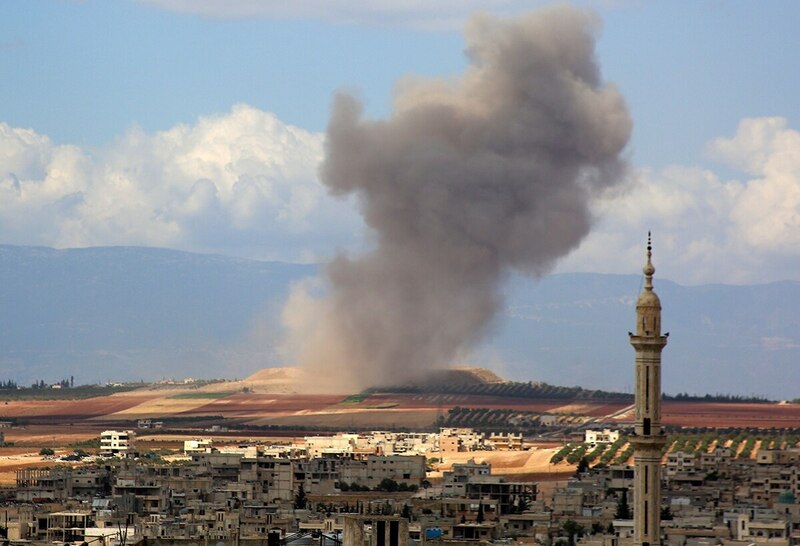 Syrian government forces and Iran-backed militiamen have also bombarded the ISIS-held area in recent weeks, according to opposition activists. Russia’s deputy defense minister claimed Thursday that a U.S. military aircraft took control of 13 drones over Syria and attempted to have them attack a Russian military base there, but the drones were downed before they could reach their target. Syrian state media, a war monitor and an ISIS-linked news agency reported Saturday that coalition airstrikes killed 40 people, mostly women and children. The coalition said in a statement late Saturday that it conducted 19 strikes in the area starting late Friday in support of ground operations against ISIS. It said no civilians were present near the targets it struck. Syria and Russia regularly launch airstrikes against suspected militants, and Iraq has carried out cross-border strikes targeting ISIS. On Tuesday, Russian officials claimed that militants are preparing to use chemical agents in Syria and intend to put the blame on the government of Syrian President Bashar al-Assad, according to Tass, a state-run Russian news agency. The Britain-based Syrian Observatory for Human Rights and Deir Ezzor 24, an activist collective, meanwhile reported clashes Sunday between Syrian government forces and ISIS in other parts of Deir el-Zour. It said government forces shelled areas controlled by ISIS in the same region where the U.S.-led coalition reportedly carried out the airstrikes. Although ISIS has been mostly defeated in eastern Syria, the extremists still have hideouts in the desert from where they launch attacks. Military Times reporter Kyle Rempfer contributed to this report.